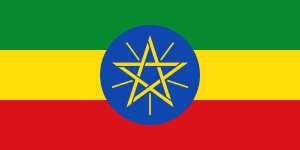 Inor (pronounced [inoːr]), sometimes called Ennemor, is an Afro-Asiatic language spoken in central Ethiopia. One of the Gurage languages, it is mainly spoken within the Gurage Zone in the Southern Nations, Nationalities and Peoples Region, as well as by speakers of the language who have settled in Ethiopian cities, especially Addis Ababa. In addition to the morphological complexity that is common to all Semitic languages, Inor exhibits the very complex morphophonology characteristic of West Gurage languages. Inor possesses nasal vowels, which are unusual for a Gurage language. Many of these may be the result of historical rhinoglottophilia. [ɨ] may be regarded as largely epenthetic and only marginally phonemic. ↑ Hammarström, Harald; Forkel, Robert; Haspelmath, Martin; Bank, Sebastian, eds. (2016). "Inor". Glottolog 2.7. Jena: Max Planck Institute for the Science of Human History. Berhanu Chamora. "Consonant distribution in Inor", in: G. Hudson (ed. ), Essays on Gurage Language and Culture (Wiesbaden: Harrassowitz Verlag), pp. 53–67. Bustorf, Dirk. (2005). "Ennämor Ethnography”, in: Siegbert Uhlig (ed. ): Encyclopaedia Aethiopica, vol. 2: D-Ha, Wiesbaden: Harrassowitz Verlag, p. 307-08. Boivin, Robert (1996). "Spontaneous Nasalization in Inor", in: G. Hudson (ed. ), Essays on Gurage Language and Culture (Wiesbaden: Harrassowitz Verlag), pp. 21–33. Hetzron, R. (1977). The Gunnän-Gurage Languages. Napoli: Istituto Orientale di Napoli. Leslau, W. (1996). "Inor Lullabies", in: Africa 66/2, pp. 280–287. Voigt, Rainer.(2005). "Ennämor Language”, in: Siegbert Uhlig (ed. ): Encyclopaedia Aethiopica, vol. 2: D-Ha, Wiesbaden: Harrassowitz Verlag, p. 307.